FNC will not renew the former Alaska governor's contract which expired on June 1. Politico’s Mike Allen reported on Wednesday morning that Fox News has declined to renew contributor Sarah Palin‘s contract which expired on June 1. 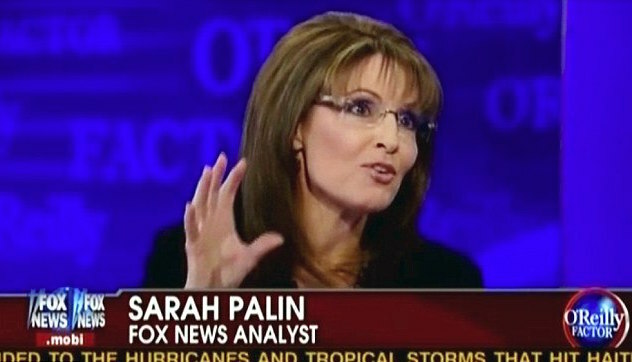 When Palin was at her zenith, she made frequent appearances, and Fox installed a camera at her house. But executives consider her less relevant now, and her appearances were sometimes hampered by the vast time difference with Alaska. She remains a huge conservative force on Facebook, with 4.5 million fans – twice that of Rand Paul, who has the biggest reach in the 2016 field. She also has 1.15 million Twitter followers. Palin, who made her FNC debut back in 2010, is expected to remain “heavily involved” in GOP congressional and gubernatorial primaries for 2016.